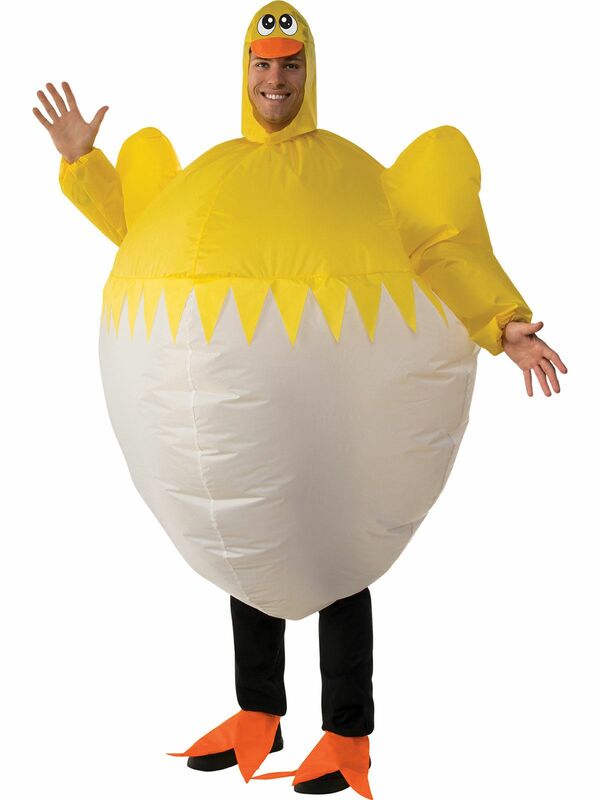 This Chick Inflatable Costume is sure to get some big laughs. Includes jumpsuit, headpiece, shoes covers, and battery operated fan. Extra giggles are always welcome in a party and chick attire is meant for laughter sessions only. Get an extremely hilarious look in a giant bird costume. Lets get crazy now and make funny gestures in chick costume. Start preparing yourself for ultimate experience. Are you looking for extreme fun at your party? Then you have to get ready with your special costume. Show your creative mind with Chick Inflatable Adult costume.